In the run-up to the Mobile World Congress in Barcelona next week, ZTE has just announced that it will be launching eight new phones at the event. I hate to be the one to break it to you, ZTE, but less can be more. 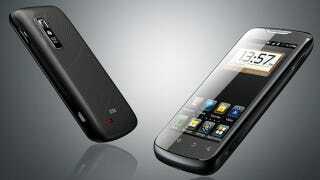 Engadget reports that ZTE will be launching eight new handsets at the show. I'm sure we'll marvel at their multi-core processors, LTE capabilities, Android and WP7 operating systems, varying quantities of storage, indistinguishably mediocre cameras, and oh my God nobody is paying attention to this sentence anymore. I'm fine with new devices. I love new devices. But I find it difficult to understand how a company can believe that launching eight phones will see them competing with the big boys. Reluctant as I am to use it as an example, Apple releases one phone at a time, but it sells outrageously well. HTC realized its portfolio was bloated, so it's vowed to stop making so many damn phones.